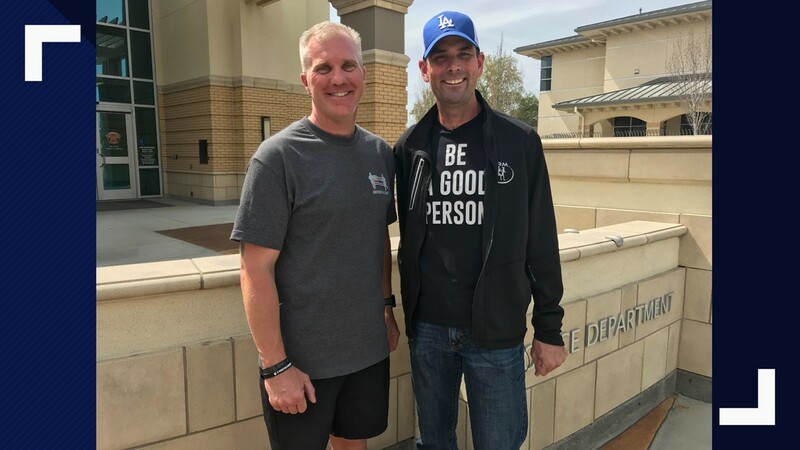 Lt. Neil Cervenka and Det. 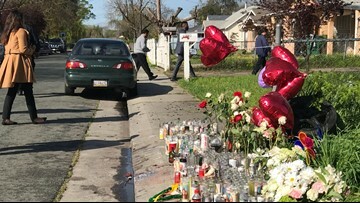 Sean Dogde participated in the Run To Remember Los Angeles half marathon yesterday wearing 25 lbs. of gear! 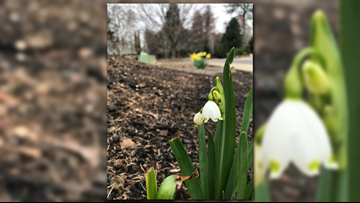 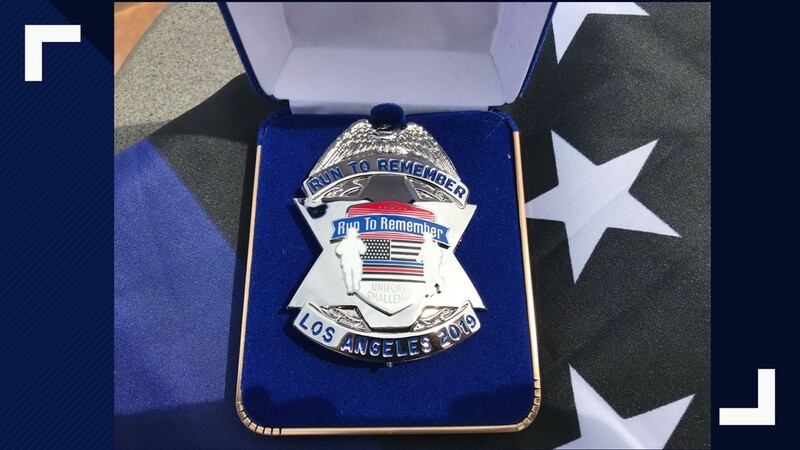 They were honoring 163 officers killed in the line of duty in 2018, including Cpl. 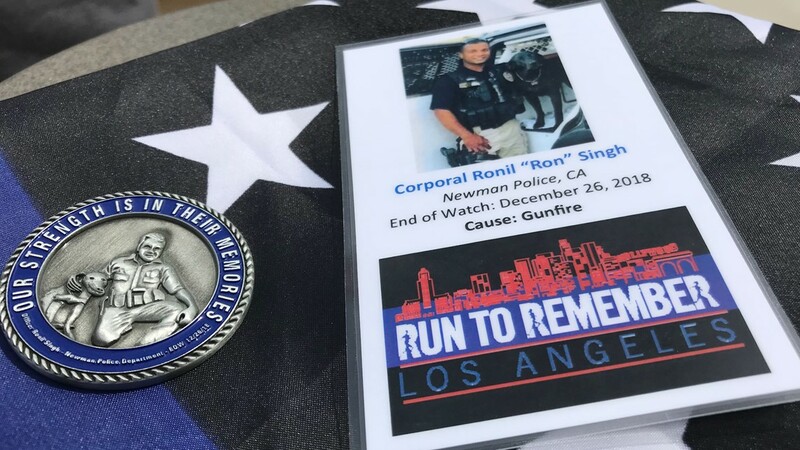 Ronil Singh and Officer Natalie Corona who were both featured on this year’s challenge coin. 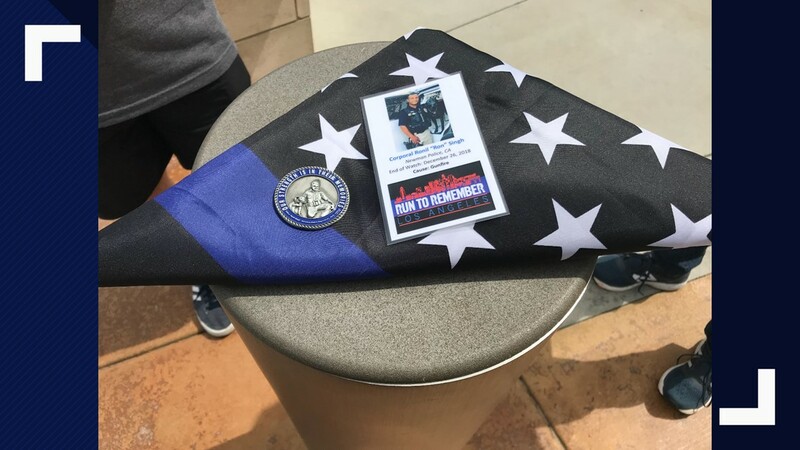 These officers from Turlock, Modesto and dozens more from across the country carried a thin blue line flag for 13.1 miles that will be given to the families of the fallen officers. 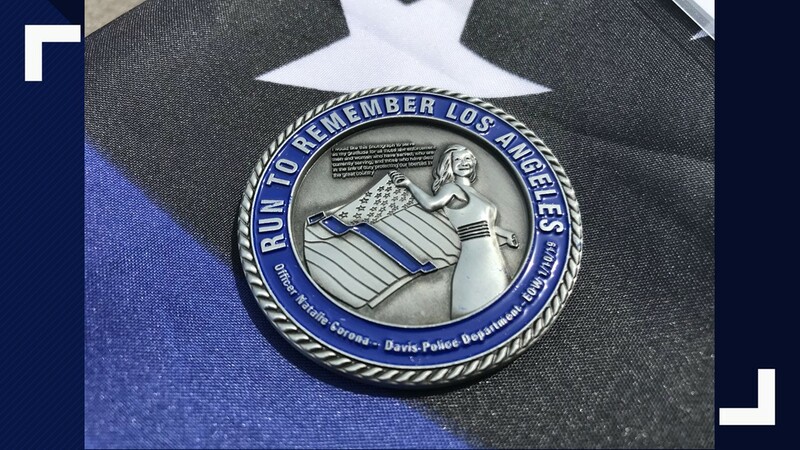 An image of Fallen Officer Natalie Corona graces one side of 2019's Challenge Coin. 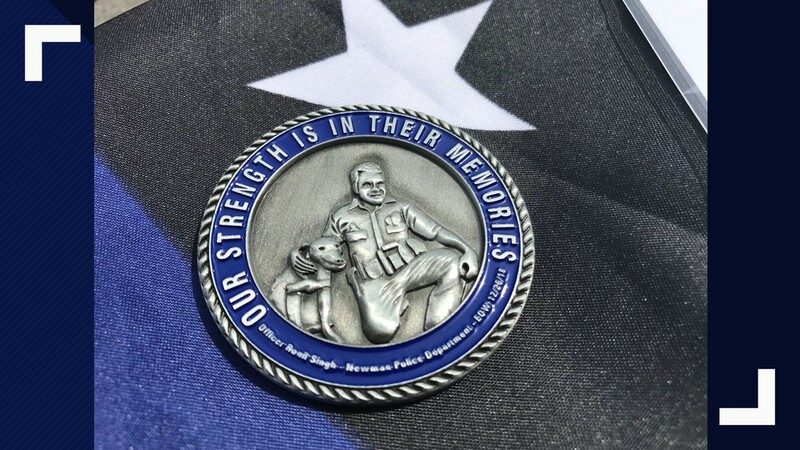 An image of Fallen Officer Ronil Singh graces the other side of the 2019 Challenge Coin.